In one of the earliest commentaries on world history (c700 BC), the Greek writer, Hesiod, placed the “Age of Bronze” mid-way between the “Age of Gold” and the impoverished “Age of Iron,” in which he considered himself unfortunate enough to live. More than two and a half millennia later, the Danish archaeologist, Christian Jurgensen Thomsen, reinstated the idea of a “Bronze Age,” albeit within a very different conceptual paradigm. Thomsen’s “Three Age System” (Stone Age, Bronze Age, Iron Age) remains the basis for the chronological understanding of European prehistory to this day and, in the British Isles, the Bronze Age can be dated between c2400 BC and c750 BC. I have written, in my biography of Sir John Lubbock (www.mark-patton.co.uk/id1.html), of the process by which this framework was refined and popularised. The Bronze exhibition currently showing at London’s Royal Academy of Arts (until 9th December) explores the aesthetic value of bronze as a material from earliest times down to the present day, displaying Bronze Age objects alongside some of the masterpieces of classical antiquity, and sculptures by artists including Cellini, Rodin and Picasso. Recent works of historical fiction, including J.P. Reedman’s Stone Lord and J.S. Dunn’s Bending the Boyne, as well as my own Undreamed Shores, have set out to imagine the culture and motivations of the very first bronze workers in this part of the world. 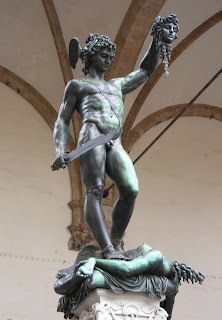 Those early bronze-smiths could surely not have conceived of a work on the scale of Cellini’s Perseus, which is one of the centrepieces of the exhibition, yet, in a very real sense, their efforts paved the way for this extraordinary grandeur. The first of these objects is a figurine, believed to be of a tribal chief, from Late Bronze Age Sardinia (7th or 8th Century BC). Wherever bronze was first introduced, perhaps especially in communities that did not already have iron, it seems to have been accompanied by fundamental changes in social structure, with the increasing concentration of wealth and power in the hands of a few individuals. Unlike iron, copper and tin (the components of bronze) are relatively rare elements, and often need to be obtained by trade: those trade routes can be monopolised and defended by a combination of charisma, diplomacy and, where necessary, warfare. Though separated both by hundreds of years and by hundreds of miles, this Bronze Age Sardinian belongs recognisably to the same social milieu as Reedman’s Ardhu, Dunn’s Elcmar and my Gwalchmai. 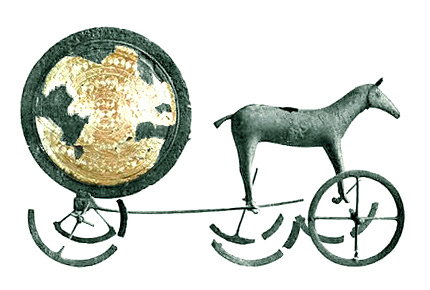 The second object is a model chariot, with a gilded disc usually assumed to represent the sun, found at Trundholm in Denmark, and dated to around 1400 BC. Sun worship may not have begun in the 3rd Millenium BC, and may not have been universal in the European Bronze Age, but the period certainly provides some striking testaments of it, and this is surely one of them. There are two other points of interest here. The world of Undreamed Shores (set around 2400 BC) includes neither domesticated horses nor wheeled transport; that of Stone Lord (set around five centuries later) includes both. Exactly when either was introduced is difficult to determine, but both seem to have made their appearance during the Bronze Age, and to have been well-established in most parts of Europe by the end of it. 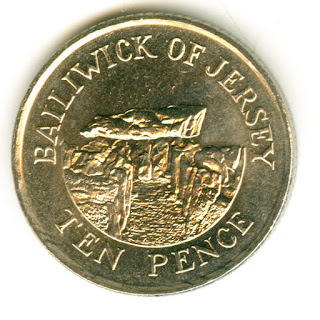 The trade and exchange that enabled the first bronze-smiths to obtain their raw materials almost certainly facilitated the spread of other ideas and technologies as well. Undreamed Shores can be purchased from www.amazon.com and www.amazon.co.uk, as well as from www.crookedcatbooks.com. 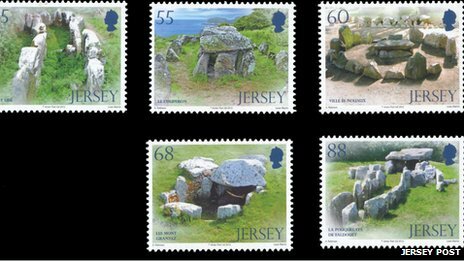 A set of stamps recently issued by the Post Office in Jersey celebrates the island’s megalithic heritage and, in doing so, provides a glimpse of some of the places that lie at the heart of my novel, Undreamed Shores. The stamps (www.bbc.co.uk/news/world-europe-jersey-20184370) show five megalithic sites: Mont Ubé; Le Couperon; Ville-ès-Noaux; Grantez and Faldouet. Mont Ubé, which one has to imagine with its original capstones and covering mound, is the 6000 year old site, already ancient when the story opens, that features in Chapter 3 as ‘the Shrine of the Gannet Clan:’ “In his dream, he found himself in a confined space, crouching on the ground. Water dripped onto his shoulder from the crack between the heavy capstones…The quartz and mica crystals of the stones twinkled in the flickering light of his uncle’s lamp. He felt he was falling backwards, being pulled back into the belly of the earth. The signs of the ancestors flashed before his eyes: bindweed tendrils, spirals, whirlpools in the air. Gero…reached into the depths of one of the stone boxes that lined the wall of the shrine and produced a skull, handing it to Amzai…”. The construction of Ville-ès-Nouaux takes place during the story, and is described in Chapter 19: “She pointed to the spot where the magpie had fallen.’Please bury his body separately over there, and cover it with the largest rock you can find, so his spirit cannot walk the Earth. Cover the rock with clay and place a circle of stones around the mound. I will cast a spell on that circle that will contain his poison forever…’”. Undreamed Shores, the paperback edition, is available at £8.09 from www.amazon.co.uk/Undreamed-Shores-Mark-Patton/dp/1908910410/ref=sr_1-1. However far back in time a historical novel may be set, the characters that feature in it must have an awareness and an understanding of times that came before them. Their narratives about those times will, almost invariably, be different from ours. They will frequently be based on oral tradition rather than written sources, raising the fascinating question of how long an oral tradition might survive. One of the turning points in my novel, Undreamed Shores, comes when an old man recites a poem that tells of a voyage made by ancestors more than a thousand years before his own time. The book’s ending (which I do not intend to give away here) is loosely based on a legend, first written down in the 16th Century, and bearing all the stylistic hallmarks of a Medieval romance (a gallant knight, a dragon, a treacherous betrayal; a noble and constant lady). By adapting this legend in a story set in 2400 BC, I explore the possibility that the story itself might be based on a tradition that goes back millennia, rather than merely centuries. J.P. Reedman, in her recently published novel, Stone Lord, goes even further, in taking the familiar legends of the Arthurian cycle back to the age of Stonehenge. Neither Reedman nor I has evidence, of the sort that would convince a historian, to support such a contention but that, in a sense, is the point about writing historical fiction: it enables us to explore aspects of the past that historians and archaeologists have no means of reaching. So how far back might oral traditions go? Some of the descriptions of weapons and armour in Homer’s Iliad seem to predate the poem itself by four or five centuries. Among the folk songs collected by Cecil Sharp are some that appear to go back as far as the Hundred Years War. The French archaeologist, José Garanger, working on the Pacific island of Vanuatu, found material evidence in support of a legend concerning a powerful chief, Roy Mata, who had lived seven hundred years earlier. Is this a truly exceptional case, or just one of many stories that endured? 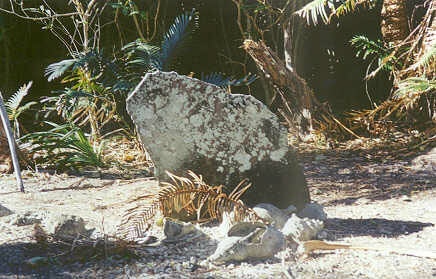 The grave-marker of Roy Mata on Vanuatu, evidence that the precise details of a historical event can survive in oral tradition for many centuries. Our own “collective memory,” as Europeans, goes back around 2500 years: Julius Caesar, Alexander the Great and Socrates all have a place within it. Going back beyond this, we may still have names (Achilles, Odysseus, Jason), but it becomes increasingly difficult to separate out the fact from the fiction. Perhaps, indeed, it is the fictional element, the fantastical, that has allowed these stories to survive at all? All of these stories, of course, have survived with the aid of written records. 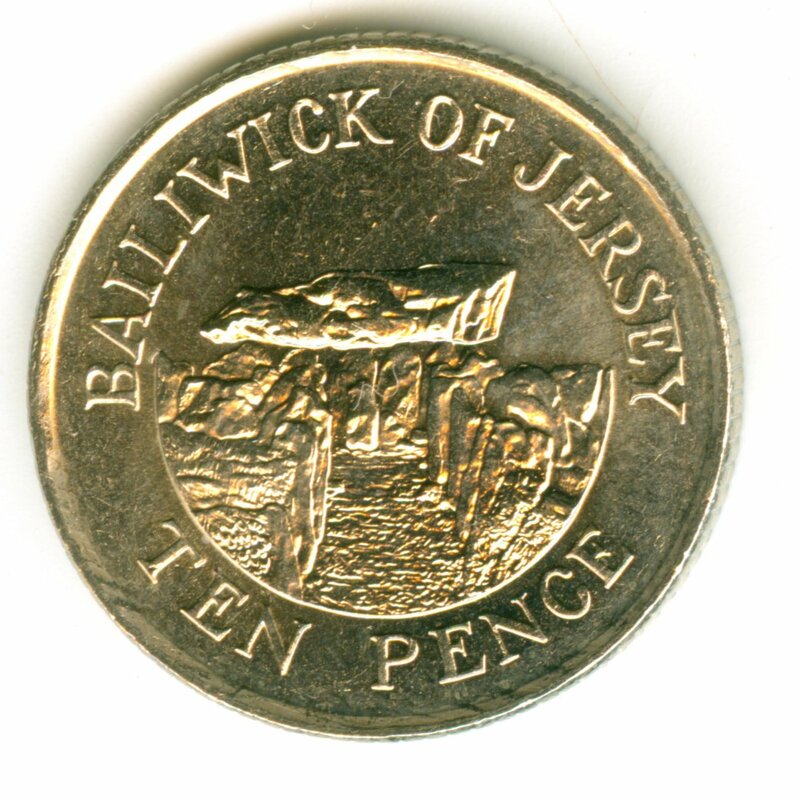 If we imagine, however, that oral traditions might have allowed a British contemporary of Julius Caesar to see back into the past as far as we can: that person might be connected by these traditions to the builders of Stonehenge; and they, in turn, to the first farmers in this part of the world. Undreamed Shores, the paperback edition, is available at £8.09 from www.amazon.co.uk/Undreamed-Shores-Mark-Patton/dp/1908910410/ref=sr_1-1. Further information, including two short stories linked to the novel, is available from my website: www.mark-patton.co.uk.